The other night I was desperately craving some sparkling wine, but was also in the mood for a cocktail, so I came up with this Lavender Infused Prosecco cocktail with lavender “donated” from our neighbors enormous lavender plant. We paired this with a fall salad, an apple-potato soup and baked brie with a baguette. 1. Prepare a lavender simple syrup by combining the sugar, water, and loose lavender in a small saucepan. Stir continuously until the sugar is dissolved and remove from heat and allow to cool. 2. Pour a glass of sparkling wine, add a teaspoon or two of the simple syrup and garnish with a lavender sprig. Every sip will smell heavenly. 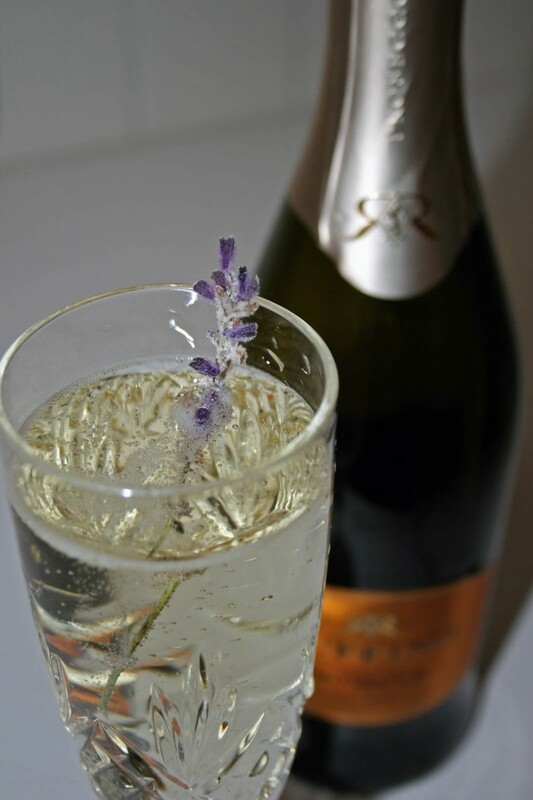 This entry was posted in Drink and tagged celebration, champagne, cocktail, flute, lavender, prosecco by autumnadams4. Bookmark the permalink.